The selection of photographs includes Steve’s best-known shots and more than 100 previously unpublished images. Also included are personal notes, telegrams and visual ephemera from his travels and assignments, all accompanied by Bonnie McCurry’s authoritative text – drawn from her familial relationship with Steve – as well as reflections from many of Steve’s friends and close colleagues. 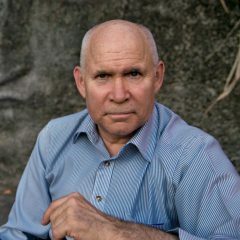 The book brings together all of McCurry’s key adventures and influences, from his experiences travelling as a young adult to his very first journalistic images taken in the aftermath of the 1977 Johnstown floods. Then to his first breakthrough journey into Afghanistan hidden among the mujahideen, his many travels across India and Pakistan, his coverage of the destruction of the 1991 Gulf War and the September 11th terrorist attacks in New York, and up to his current work. world. Thank you for your stirring contribution to humanity. Can’t wait to order this. You are inspirational. All these pictures are so… diverse and full of life! I felt transported to the spot with every picture! There is always something to learn from your pictures. Your work is so impressive and leave a sign in our soul. I’ll go and get one copy of this marvelous book, as I’ve done with your previous works. Just got it. Thank you!!! Thank you for thsi. I hve ordered this beautiful book ! I am impressive with your pictures. Amazing, insightful, photographer. Thank you Steve for showing us all this incredible world in all its amazing variery. A wonderful reflection on Steve’s photographic life! This is one of the best photography bloggers that I’ve seen. Now he has a book!! ‘New Book: Steve McCurry: A Life in Pictures’ … enjoy! !